Multifunctional products gain more and more space in our routine. The idea of ​​decreasing the amount of items in your bathroom has led some people to more often look for products that can be used in a variety of ways and are beneficial to different parts of the body. Although skin and hair have very different aspects, the similarity between the proteins that make up the two structures is great. Therefore, it is safe to say that moisturizers that benefit the skin may very well favor the hair and vice versa, just use the appropriate formulation. 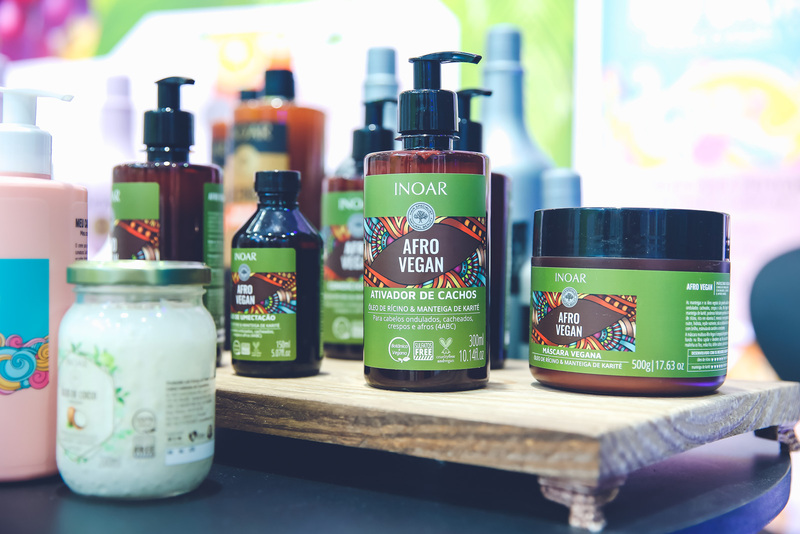 Thinking of this multifunctionality, Inoar created one of these wild-type formulations and developed the Natural Collection Hair & Body. Its foam enriched with moisturizing agents acts as a medium cleansing shampoo for the hair, but also performs, very well, the role of Bath Gel and Foam Depilation and Beard. This all combined with an aromocological perfume (aramacologia brings positive feelings along with the perfume that we feel) that benefits everything around you. The brand anticipated the multifunctional trend with the Kálice line. The line with 7 precious vegetable oils (jasmine, argan, myrrh, macadamia, ojon, sweet almonds and rosemary) is able to provide moisturizing, nourishing, repair and antioxidant function, softening, protective and emollient, with light touch and a exclusive. Its multifunctional oil can be used on the skin and hair for several functions: hair drying, waxing, body moisturizing, mixed to makeup or primer and make-up remover. Recently, the multifunctional shampoo Kálice was elected by the editors of the American magazine Hola! as the best product in The Most Diverse category, receiving the Best In Beauty 2018 seal. Shampoo goes beyond cleaning and is capable of moisturizing, regenerating, softening and protecting all types of hair. To make your bath a true SPA procedure, make a strong basil tea, let it crush and pour over the body after bathing with Natural Collection Hair & Body. The blend of the aromas of tea and orange blossom present in the product are all about and leave you with a unique and energizing perfume. Another tip is to combine the multifunctional oil and kálice mask after using Natural Collection Hair & Body. Perfumes complement each other and functions as well. Especially if your wires have already undergone chemical / discoloration. Those who are trained in the composition of the products they use and love to take care of the tresses are more familiar with the question: “Is it released?”. But who is not very connected in the formulation of products may not know what that means. So we are here to clarify everything. It is no secret that many people confuse foam with the cleaning factor. Whether it’s bath time or any other time in our daily lives, the foam is still associated with deep cleaning. What not everyone knows, is that to make all the foam, the products need cleaning agents, the sulphates, which are mostly aggressive to the hair by removing the natural layer of protection from the wires. And even worse, it may contain other components to mask the effects they provide, petrolatums and silicones. Because of this, many people have begun to opt for products that do not carry such components. In this way they adhered to Low Poo, No Poo and Co Wash techniques. That is, when someone asks if a shampoo or conditioner is released, it is referring to the presence of sulfates, petrolates and silicones in the composition. Only products that do not have these components can be used for the techniques. Easy, no !? But now the question that strikes is: what is the difference between these techniques? Low Poo is a technique that uses shampoo without aggressive sulfates, insoluble silicones and petroleum derivatives in the wash. Thus, to perform the method, it is necessary to replace the shampoos containing substances that are aggressive to the hair by removing the natural protective layer from the wires. In addition, you need to remove the petrolatums that can be harmful to your hair over time. Unlike the Low Poo technique, No Poo is a technique that does not use shampoo for washing. Thus, it uses cleansing balms without insoluble silicones and petrolates in the composition. Among the adepts, many are curly and curly also because of the sensitivity of the threads. The Co Wash procedure consists of washing the hair with conditioners. Therefore, the term is closely linked to the practice of No Poo. For Co Wash, it is necessary that the conditioners have no sulfates, petrolatums, mineral oils, petroleum jelly, liquid paraffin or insoluble silicones in the composition. Are you adept at techniques? Do you use our products for Low Poo, No Poo and / or Co Wash? Tell us about your experience! Want to know more about these techniques and how they came about? Every bunch knows the importance of products to finalize their wires. And some are among the darlings for a definite and powerful bunch. This is the case for combing cream and leave-in. But few understand its particularities. It is common to associate the use of a combing cream with curly hair. This happens, because this type of curvature usually needs some product to facilitate the release of the wires. But this is not the only function of using this product. It also helps, especially if allied to the leave-in and activator of curls, the alignment and definition of the wires. Therefore, the item is usually on the shelves of curly, curly and curly. Thus, the combing cream shows itself as a great ally when it comes to defining the curls. Because they are more dry, due to the fact that the oil has more difficulty reaching the ends of the hair, the threads need products that return this nutrition, becoming more defined. In some cases, the combing cream is not able to align the wires as it is so desired. So, in an attempt to tame the frizz of the hair, sometimes we are tempted to leave a little mask or conditioner even after the rinse. Remember that this is not the right choice, because some components and even pH of these products do not predict they stay on the wires for more than 30 minutes. For these cases, in which dehydration and frizz persist even after treatment or extra help is required to model the wires, leave-in is used. 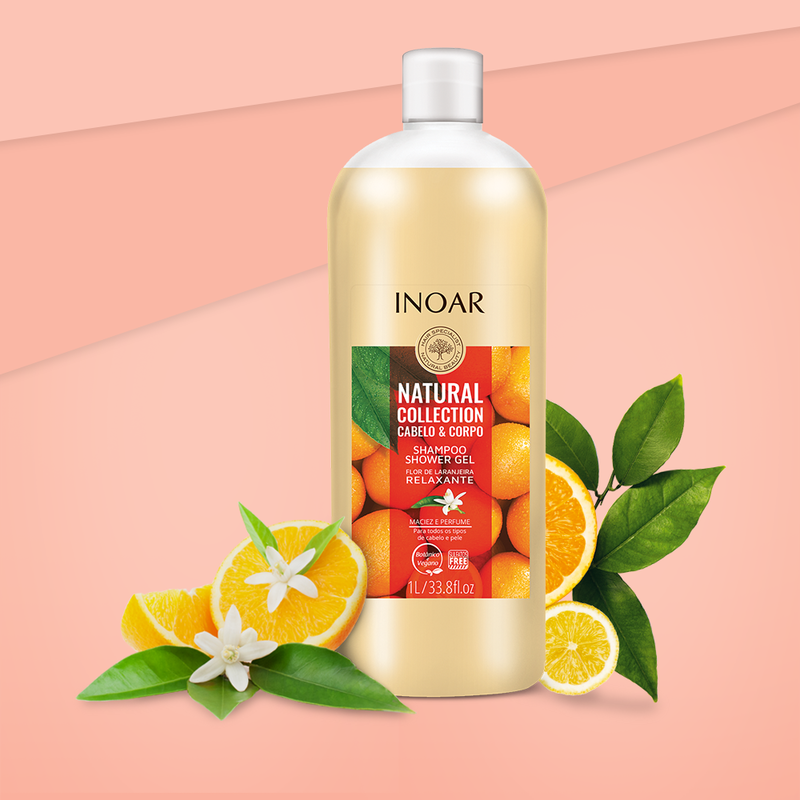 If your hair needs only moisturizing, you can use traditional lines and Inoar brings many options for you, such as variations of the CicatriFios line. But if you realize that, in addition to moisturizing, you need to model curls or define curls, My Cacho comb, My Crush is the best one. This is because, this formulation contains not only the latest in moisturizing agents, but also a gel of curls integrated to the formula of the cream, guaranteeing definition of the curvatures. Make a mix with a few drops of the solution for skin and hair Rejupantenol to increase the time of definition of your curls. Making them look brighter and more beautiful. Known for its longevity and self repair, the Lotus Flower is a plant of Asian origin that has many minerals and nutrients. 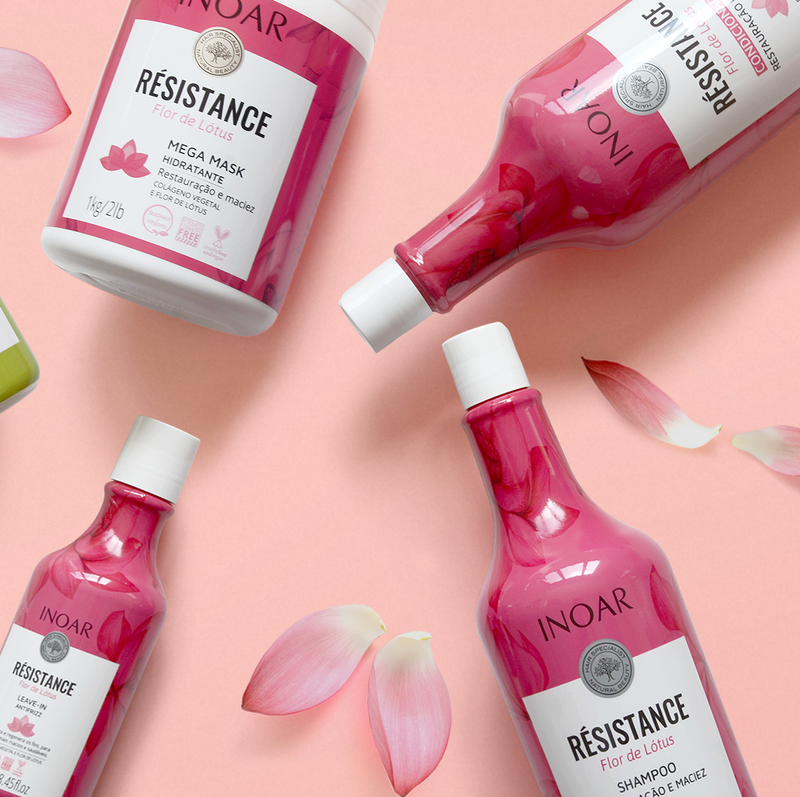 The flower is already considered as a great ally for maintaining the health of the body and now, Inoar also offers these benefits to your hair. The Lotus Flower has been used for centuries because of its mystical significance. Egyptians and Hindus considered the sacred flower. Since Hindus still use it for Ayurvedic medicine, a complex therapeutic technique very popular in India. Its fragrance was associated with the relief of the spirit. Because of this, Lotus Flower oil is found in cosmetic products with calming, soothing appeals. Aromacology also explains this, which is an area of ​​science that studies the influence of smells on emotions and feelings. That is, try to work in the best way the sensation that nature is able to provide us. Résistance Lotus Flower Inoar works as a moisturizing and revitalizing line. Products with this main component have the power to regenerate the wires, leaving them much softer and more pliable. Its composition provides intense repair for healthier and brighter hair. These are characteristics that the Lotus Flower is able to provide to the hair. Its revitalizing action comes from the seeds, which are able to activate genes that produce proteins to repair the hair fiber. Thus, the result can not be different from a beautiful and healthy hair. The main benefit of the Lotus Flower in the threads is its revitalizing action. Therefore, for a regenerated yarn, take care of all the steps of the treatment with Résistance Lotus Flower. The line is composed of shampoo, conditioner, mask, leave-in and oil. Products released for Low Poo, No Poo and Co Wash techniques, vegan and cruelty free. Not yet known – but rich in benefits – bamboo can be a great ally for your beauty routine. 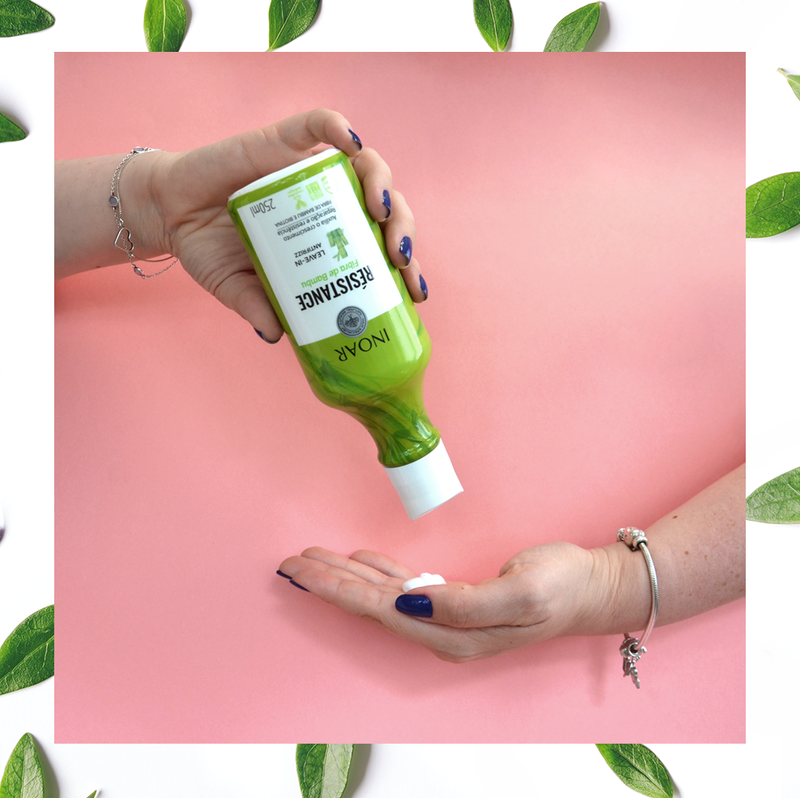 This ingredient is being inserted into hair products to aid in the health and beauty of hair, nails and skin. 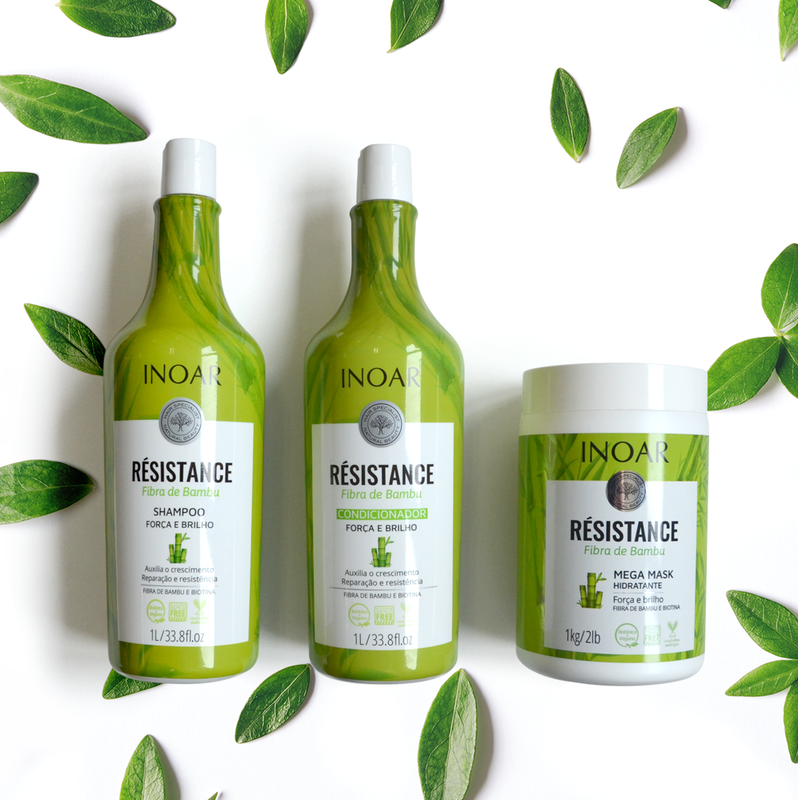 And Inoar has developed a special line to repair weakened hairs and strengthen the strands, leaving them with much brighter, the Bamboo Fiber Resistance. To understand the performance of the thread in the wires, one must know the power of the bamboo fiber. The plant has always been used for various functions in the East, from food to building material, and in recent years has discovered another great benefit of bamboo: its action in the reconstruction and hydration of the hair. The bamboo fiber works on the porous wire, sensitized and brittle when replacing the amino acids, since it is rich of them in their composition. And in the matter of hydration, the fiber helps in the retention of water. Thus, it acts from the inside out in the threads, building a strengthening in the internal structure and providing the sealing of the hair, protecting against aggressions. Products that take the bamboo fiber in its composition give the yarns a stronger and healthier growth. In this way, they can be used by all types of hair, but are recommended for wires weakened by chemical processes, such as discoloration, coloring or smoothing. To summarize: Bamboo fiber in capillary products helps in rebuilding, as it is rich in amino acids, regenerating hair that loses its mass due to more invasive processes in the threads, but does not leave them stiff. And moisturizes the threads, as it helps the yarn retain water, which avoids the dryness and porosity of the hair. Thus, aiding in hydration and especially in rebuilding, it becomes an ally for stronger and healthier wires to grow. 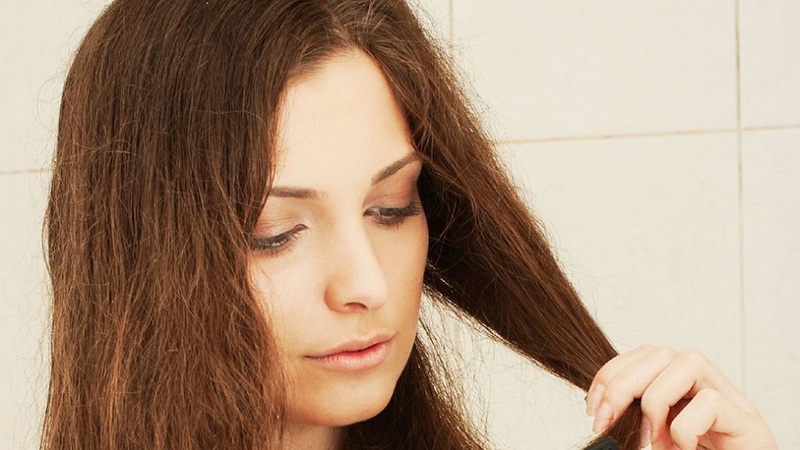 Horror of the hair, the frizz is the great villain of the hairstyles and the day to day of Brazilians who do not have much time to take care of the hair. The creepy strands are often mistaken for carelessness. But they may be related to simple habits of our daily life that can be easily modified. Inoar highlights some actions that may be hindering the achievement of a hair aligned and without frizz. And it shows how easy it is to have beautiful, healthy hair without spending hours in the parlor or fixing it every morning for hours. We know how difficult it is to bathe with cold water, especially in winter. But healthy, hydrated hair requires distance from hot water. This is because the water at this temperature dries the wire, leaving it more brittle, less emollient, thus, with more frizz. Alternate the washes with warm water and feel the wires much more aligned. One of the great allies of the appearance of frizz is the use of tumblers and dryers. And the issue here is exposure to high temperatures. The wire becomes more sensitive, losing the moisture that the natural drying usually maintains for longer. Therefore, the importance of products that make hair protection. Leave-in or oils with thermal protection are essential so that the hair is not fully exposed and thus, more protected, avoiding the appearance of frizz. 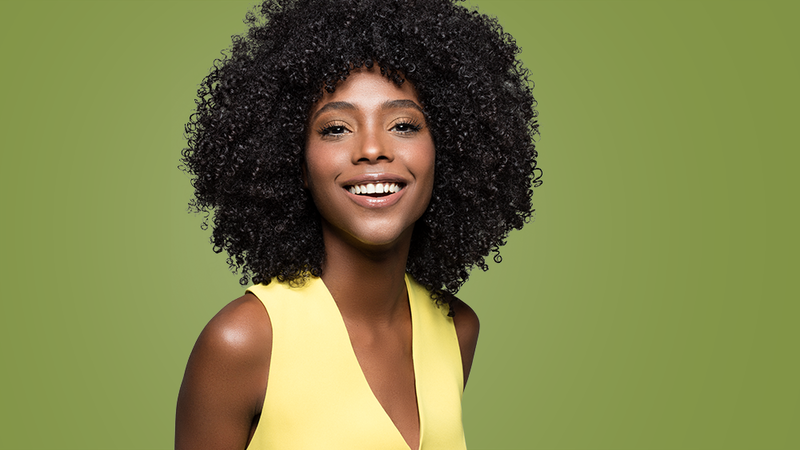 Avoiding synthetic materials for combing hair is a way to get away from frizz. This is because the friction of this type of material with the hair creates electricity, raising more frizz. And that’s all we do not want, right? Replacing them with wood combs is a great way out. It is still common to find many curls that come out with wet hair. But this is not the most advised for those who are fleeing the frizz. The wind can lift the wires, leaving them looking messy. So, the best tip is to avoid wind at the time of drying the hair, thus preserving the alignment of the wires. We know how difficult it is to keep the strings in line when they are young and not very long. Sometimes they are the villains of the hairstyles. But we must learn to live with them. 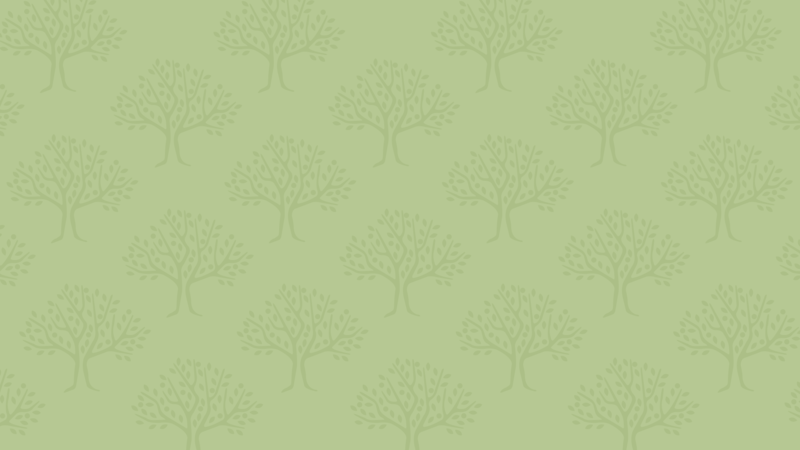 And so we have separated some ways of making them beautiful and aligned. These young wires are popularly known as Baby Hair, in literal translation, baby hair. And that’s the very meaning, a new hair that often shivers and is more visible on the forehead part of the front of the scalp. They tend to be thinner and less forceful, so extra care is needed with them. The great tip to make them beautiful is not to do everything to hide them, but to show them. Show them that they are there and your hairstyle will be much more natural. There are several ways to do this, the main one of which is to mold them with styling products such as gels and ointments. Generally, this technique refers to more romantic / modern looks. And many people are mistaken to think that people have only begun to show them now. In the 1990s, it was common to mold the baby hair in the form of a cushion on the front of the scalp. So, instead of hiding them, they incorporated them to the look leaving the hairstyles even more beautiful. On a daily basis, they often upset. It is not every day that you have time to let them align. In this way, the simplest way to contain them is with a little water, modeling them as close to the face and aligning them the way you want them. To fix, a capillary oil is enough. For a more elaborate hairstyle, a good way is to apply ointments with a clean toothbrush. This way, you can align all the threads in the position you find most appropriate for your hairstyle. Even, camouflaging it between the other wires. Many celebrities have already joined the fashion that came back from the 90’s and parade with their baby hair modeling. And whoever thinks that this is the exclusivity of the curses is deceiving. Lisas also have these threads. They are often associated with frizz. Hence, the hint of modeling goes well for all types of hair. ATTENTION: Since baby hair is thinner, use soft brushes. So you do not run the risk of breaking them and damaging them.